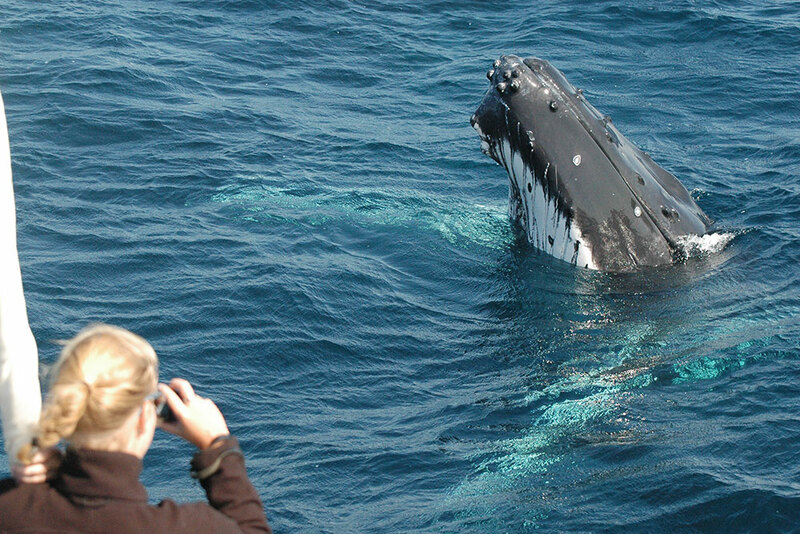 We are passionate about whale watching and giving our guests the very best experience with the whales. It’s what we specialise in and why our boat is specifically designed with spacious open decks and uninterrupted 360° views. 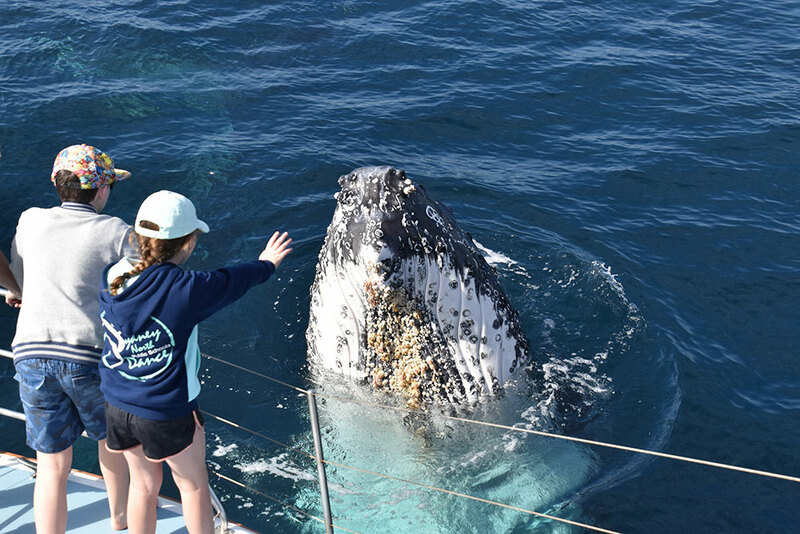 We love what we do and try our hardest to ensure our guests experience the same thrills and enjoyment from being with the majestic whales as we do. 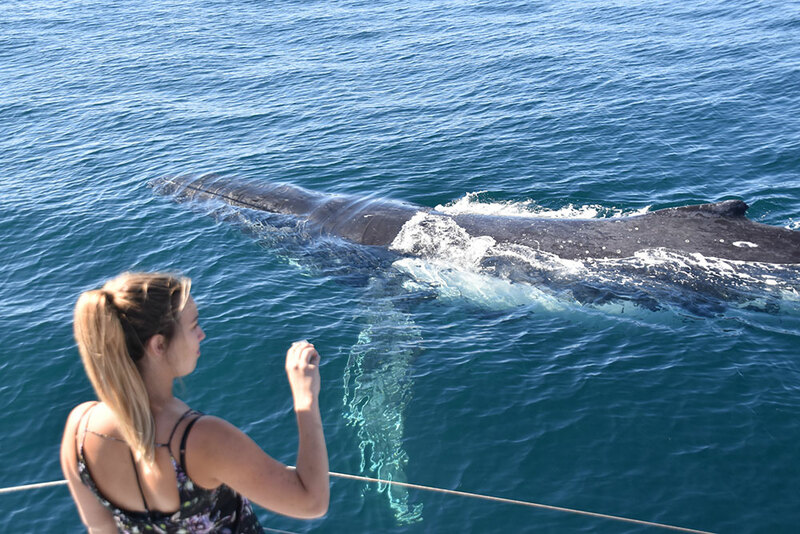 As the whales are constantly in motion, it is critical you are free to move around the boat to enjoy the most of your time with the whales. Pacific Explorer has no restrictive seating so there is no need to squeeze inside a cabin or side by side other passengers, ferry style. You are welcome to roam about Pacific Explorer as you interact with the whales. Whilst our crew is enthusiastic, we don’t chase the whales. 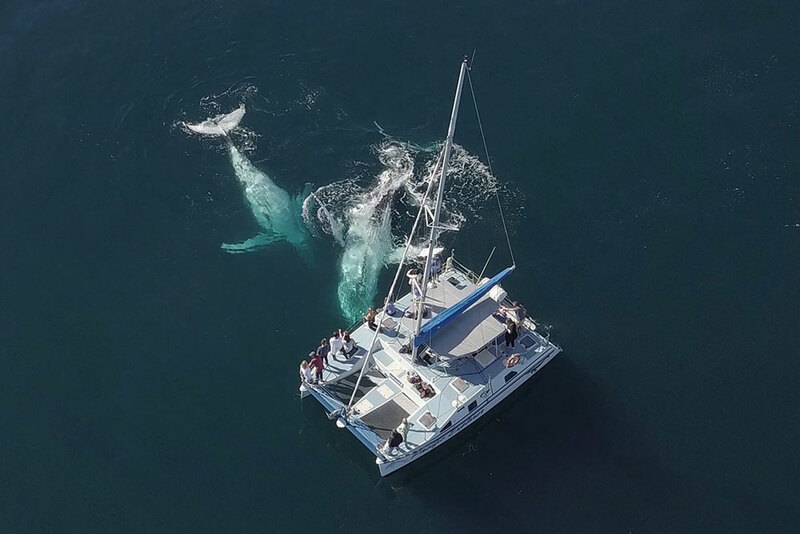 Years of experience, knowing how to cruise with whales and the quiet nature of our boat will see the whales come to the boat once they are comfortable. 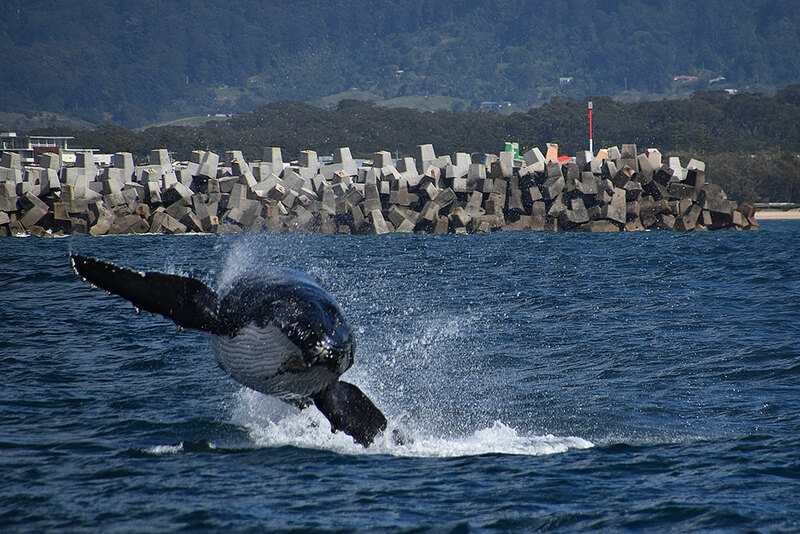 This approach ensures longer interaction with the whales and often draws other whales over to watch the humans! 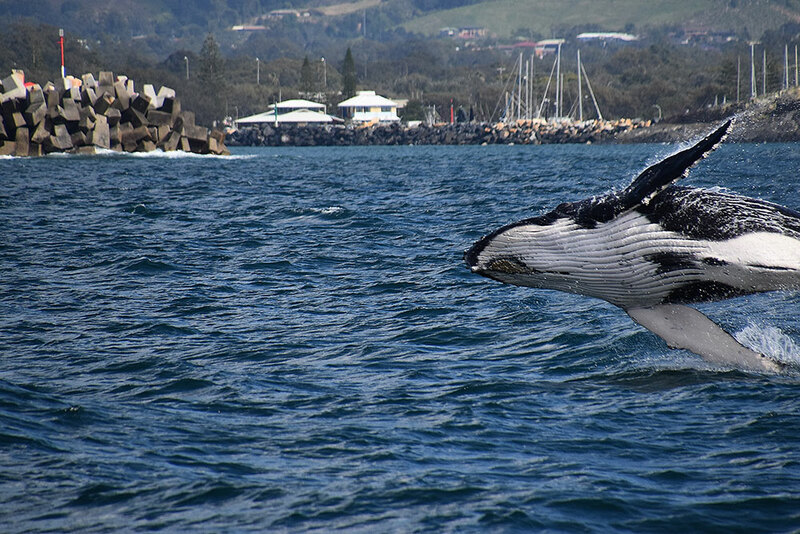 Given our strong commitment to your enjoyment, we spend time on headlands and lookouts before each cruise, locating whales to maximise your whale watching experience. Pacific Explorer was purpose built as a stable sea-going vessel and to a stronger, government regulated standard than conventional boats. 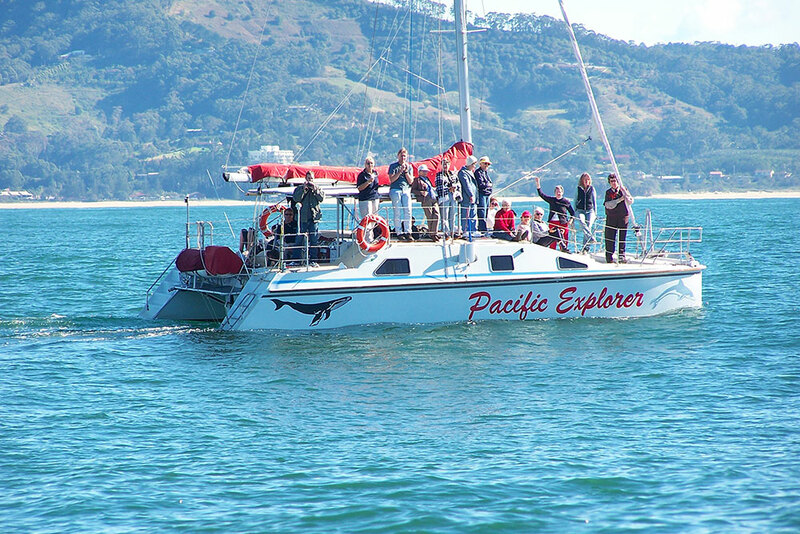 Whale Watch Experience and Pacific Explorer have a perfect safety record. Having a wide hull and low centre of gravity Pacific Explorer has reduced rocking and rolling motion, which helps as you move about the boat and with taking photos. 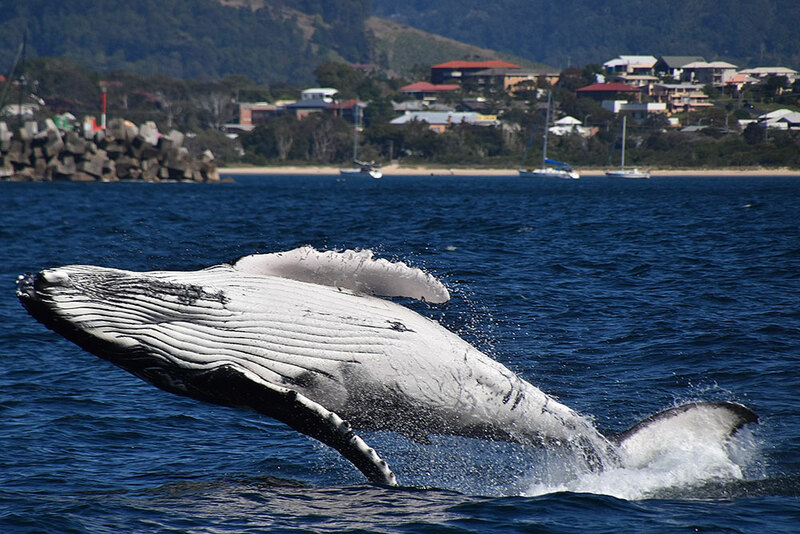 Whilst we specialise in smaller, more comfortable passenger numbers per cruise, on average we take approximately 2000 guests whale watching each year, on 100 cruises. Our guests have ranged from 8 weeks to 96 years and we welcome passengers with disabilities as much as possible. Above all else, your safety and enjoyment is paramount to us and we will not compromise that to cruise when we believe weather or sea conditions are not favourable.